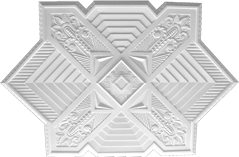 Custom architectural plaster mouldings are our specialty. HPS are also an accredited stockist of the Pressed Tin Panels Pty Ltd range. Please drop in and discuss your requirements with our friendly and experienced staff.